Choosing the first stroller is one of the most important decision that future parents have to make. It is because it’s one of those baby items that you will use often and for a very long time, so it has to be durable and well equipped to serve you for years. It is also one of the most expensive baby products. That is why you should carefully consider what exactly you need and not rush into any decision. Stroller should be not only properly chosen for the baby, but it also should be handy for parents. Let’s find the best baby strollers together! What to look for when shopping for a baby stroller? How long do you want your stroller to last? Do you want to have more babies, year after year? When and where you will use the stroller? Where you will store the stroller? Will you bring it up several flights of stairs? Will you keep the stroller in the trunk of your car? Visit to the store with child’s gear can be a headache. No wonder, the choise is vast. We have prams, lightweight and umbrella strollers, convertible pushchairs, with three or four wheels, black or colorful, and of course: cheap and expensive strollers. When you face so many options and models, you may want to ask: which stroller should I buy? Future parents spend a lot of time on searching for the perfect stroller and, unfortunately, sometimes their purchase is a mistake. When you’re buying an equipment for your baby you want to choose the best products, suitable and safe for your kid, but there is so many options – and not every model is top-quality. I know that neither I, nor you, nor any other mother, would like to buy wrong stroller and then suffer for the next six months or longer, or even worse – buy a stroller that would make the baby suffer. When I was pregnant with Haley I spent so much time in shops, visiting online stores, reading reviews, talking to other moms, watching videos on YouTube, everything that could possibly help me to choose the right stroller. When I was pregnant for the second time I had to do it all over again! I did a huge research and tested many models. And I thought I should share the information I collected with other moms! Therefore I decided to write my own reliable stroller buying guide, based on my experience and my research, to make your research easier. I would like to give you a hint how to choose the best stroller, what to look for and what to consider, before you make your purchase. 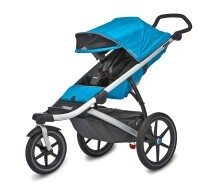 Stroller type Example Price range For whom? Let me start by saying that there is no such thing like a perfect stroller that has it all. 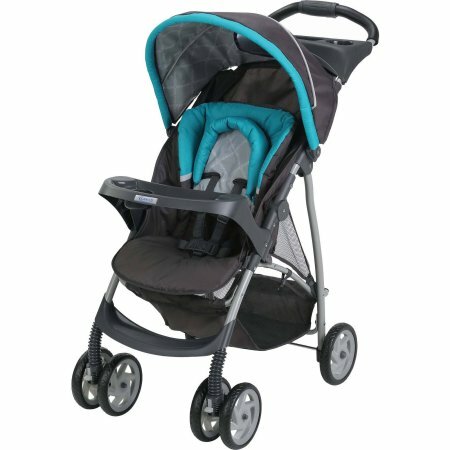 Many parents, including me when I was pregnant for the first time, are looking for a stroller that has wheels for all type of terrain, reclining and reversible seat, big canopy, adjustable footrest, large basket under the seat, is easy to fold with only one hand, weighs around 16 lbs and of course – costs less than $200. Sometimes we have to sacrifice something that is minor, or as many parents – buy two strollers. It’s not like you have to do this. You may buy only one, but probably it won’t be perfect in every situation. Different parents have different lifestyle, live in different places and therefore need different strollers. That’s why asking other parents for recommendation on specific model is often pointless. Just because this person has a child and says that this baby stroller was great, doesn’t mean it will be good for you and your little one. We all have different preferences, needs and… budget! 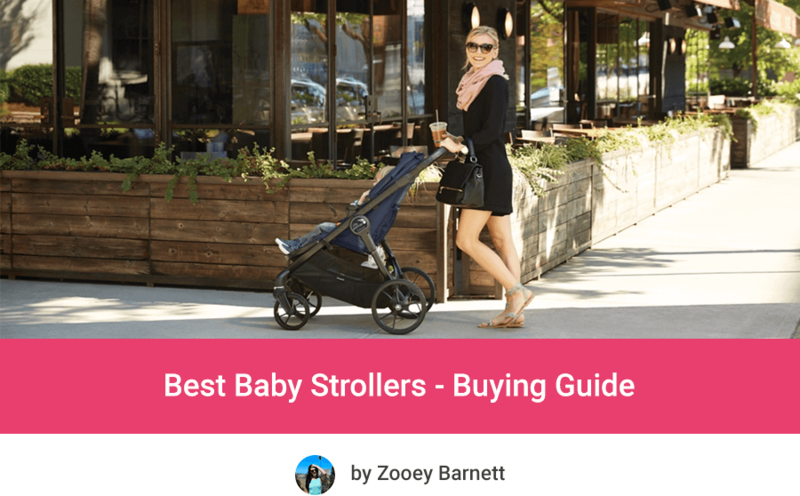 I write this buying guide to provide you some questions and comparisons that will help you to define what you really need and find the best stroller for you and your baby. 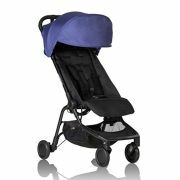 Okay, let’s begin with some crucial aspects to which you should pay attention when you are choosing stroller for your baby. Certification – safety sign. Check if the model you like has a sticker showing that it is certificated by the Juvenile Products Manufacturers Association (JPMA). You can also visit JPMA’s website to check which stroller brands are certified. Usually it means that the most important features (like stroller’s stability and brakes, locking mechanism or absence of sharp edges) were carefully tested. Wheels – The large and air-filled ones are the best for long walks and bumpy ground, smaller wheels might be better for city use and running errands. 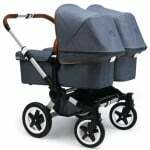 Swivel front wheels give better maneuverability, locked wheels make stroller more stable. Amortization – thanks to good amortization and suspension system your child is not exposed to shocks. This is a crucial thing because infants have very delicate spine and don’t have neck and head control during first few months. Stroller frame – if the frame is heavy, the whole stroller is bulky, therefore we are looking for quite light frame. Of course it has to be strong and durable at the same time. Brakes – should lock both wheels simultaneously. When the wheels are blocked, the stroller should be immobile. Canopy – should fold easily and quietly and have great ventilation for hot days. It should be big enough to protect your kid from sun and wind and give him some room to grow. Adjustable handlebar – it makes pushing the stroller more comfortable for parents of different height. Reversible seat – gives you the ability to change the direction your child is facing. Very useful feature, because parents often prefer when their infant is facing them, but a curious toddler prefers to ride facing the World and observe surroundings. Storage basket underneath the seat – very handy not only for moms! Remember – hanging heavy bags on the handlebar can decrease stroller’s stability and increase the risk of tipping over. Therefore spacious basket is a must-have. Removable cover – you will want a cover that can be quickly unfasten and clean up and a fabric that is easy to wipe down, without shrinking or fading. It’s really great to have a possibility of removing the seat padding and throwing it to the washing machine. Okay, so you have some basic features that you should consider, no matter what type of the stroller you plan on buying, whether it is your first or third pushchair and no matter if it’s for newborn, toddler or twins. Here you can watch a video on how to pick the best baby stroller. 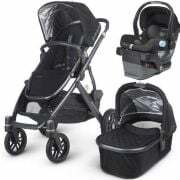 I also prepared for you short description of the most popular types of baby strollers that you can find on the market today. The offer is vast, therefore making a decision is not easy. 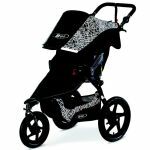 Look at the following list of types of baby strollers – it will help you to clarify what you need. On the market there are A LOT of standard convertible strollers. In the table below you can see some of my favorite models in this category. This is one of the most popular type of strollers. Few years ago standard strollers were very simple and monofunctional. Nowadays stardard strollers are versatile and multifunctional. You can find different shapes and sizes in this type. 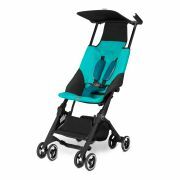 They are designed to provide your baby with comfort and make getting around more easy. Today standard doesn’t mean heavy and sluggish. Many strollers in this type are maneuverable and work on different terrains (like sidewalks, paved streets, park paths and wooded trails). Many of them are very flexible and convertible and offer many seating options. We can say that convertible is the new standard. Keep in mind: most strollers in this type reclines, but the angle is not enough for safe sleeping. If it has fully-reclining seat (less than 10 degrees) you can use it instead of pram. If not, the seat is suitable only for infant who can sit unassisted. But you don’t have to worry. 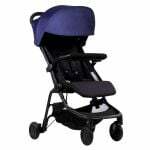 Most of the modern standard strollers are convertible which means you have option of replacing the regular seat with a bassinet and converting it into a pram. For example, higher-end products like UPPAbaby Vista or Bugaboo Cameleon 3 include a bassinet. They have also option of using infant car seat adapter and convert the standard stroller to travel system. I think every modern standard stroller is compatible with car seats. One difference between convertible stroller and travel system is that the first one needs an adapter to install a car seat and the latter one doesn’t require any adapters. 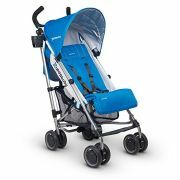 Nevertheless, some of the convertible strollers are also available as travel system. Some models have also reversible seat, so the baby can sit facing you or forward. 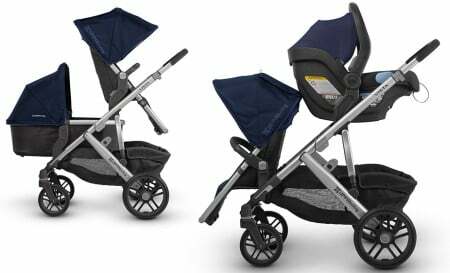 Moreover, few of the modern standard strollers are expandable, so you have the ability to add another seat for the second child! You can also add to many models a running board for the toddler, when you welcome your third child. 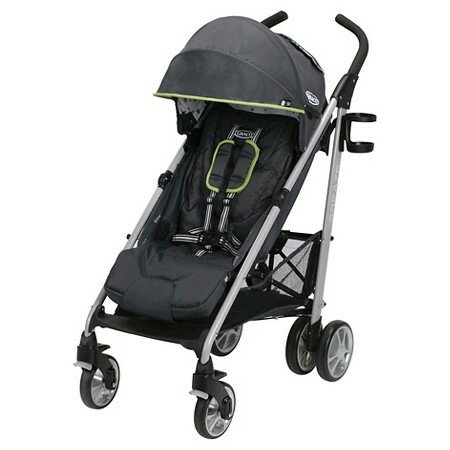 Standard strollers have also basket below the seat for baby gear, and wheels in a good size. The weight of this type of strollers ranges from 16 to 37 lbs. It is heavier than umbrella, but it’s not as bulky as jogging type. It usually folds up without much trouble and it is quite easy to storage. Convertible strollers are all-purpose vehicles, therefore you won’t need second or third one. They usually have enough suspension for bumpy roads. Remember: standard type is not designed for jogging. If you want your baby to keep you company while you are running, you need to choose a jogger. Today standard strollers are actually very flexible and multi-functional. They have everything you will ever need because they offer many different add-ons. 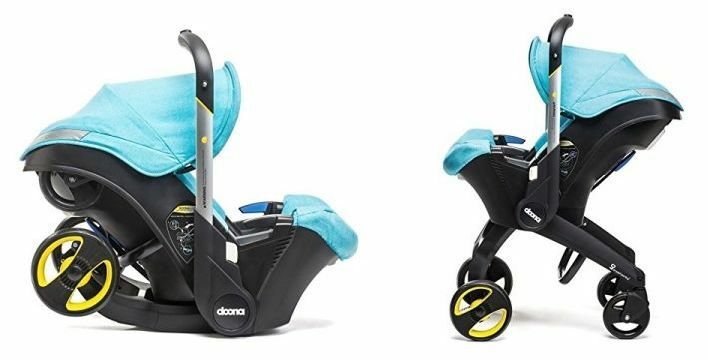 If you plan on having more kids and you want to invest your money in a good stroller that will serve you for years, this is the best type for you. To sum up, the standard type is a good choice if you want to use stroller in different situations and you don’t need a specialized one. This type is also good for parents who want to stroll in the city centers, mostly on sidewalks, in parks and small shopping centers. This type of stroller is for families with many (also future) kids and parents that appreciate flexibility. 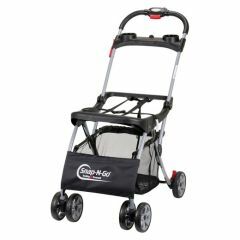 Here you can find my ranking of top-rated convertible strollers for 2019. In the table below you can see my favorite baby travel systems. 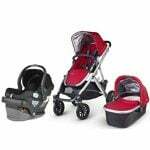 Travel system is a set that includes matching stroller and infant car seat (usually also the car seat base). Travel systems are very popular because they are multi-functional. Main advantage of this type is that you can easily snap the car seat right into the stroller and you don’t need any adapters. This stroller grows with the baby because at the begging you can use the infant car seat, snapped into the stroller. And when the baby is 6 months old and has developed head and neck control and is too big for the car seat, you can start using the stroller with toddler seat. The travel system will serve you from day one until your baby outgrows the regular seat or doesn’t want to ride in a stroller anymore. Travel system is perfect when your baby is little and often falls asleep in a car seat. You don’t need to wake your baby while running some errands in the city or driving car. You just take the car seat with your baby out of the car and snap it into the stroller. 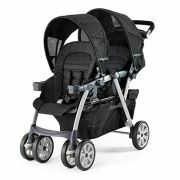 It is also perfect solution for parents who travel a lot and often transfer between the stroller, the car and the house. When you buy a car seat and a stroller as a set you can save money because travel systems are usually at decent and affordable prices (even about $200), but of course it depends on the brand and accessories. Be careful, if the set is very cheap, you can not expect it to be high quality. Also when you buy a set it may turn out that the car seat was great, but when the baby outgrows it, you are left with a cumbersome and heavy stroller with big and not maneuverable wheels. My advice for you is to check the whole set before buying – is the car seat comfortable and safe for your baby? Is the stroller easy to push and good for the little passenger? Keep in mind: sometimes both things bought as a set can have worse quality than car seat and stroller bought separately. 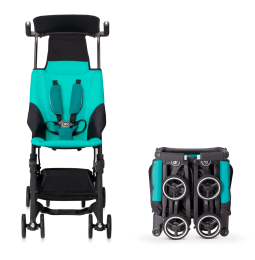 And one more thing – if you want to buy a stroller that will serve you from day one to toddlerhood, but you don’t want a matching travel system, you can always choose a convertible stroller compatible with many different car seats and with other add-ons. Are you wondering which travel system is right for you? Take a look on my list of the best travel systems in 2019. It’s a frame with no seat of its own, designed to carry only the infant car seat which makes it really lightweight. The car seat frame is quite like a travel system, but it doesn’t have main seat, only the frame. You can add to it the car seat which easily snaps into the frame. It is very convenient option for transporting little baby sleeping in a car seat. Of course you can use car seat frame only when your baby is small and fits into the infant car seat. After this time (6-12 months) you will have to buy a stroller suitable for baby who can sit upright. It is also compact and very easy to fold and storage (for example in your car trunk). Car seat frame is very good option if you have small apartment and little space for storing the stroller. Also, it is great choice for moms who had C-section, since this type is very light and easy to carry. It is also pocket-friendly option, because you need to buy only the frame and a car seat. It’s good choice for parents who haven’t make decision what stroller to buy yet. It gives you some time to find the right stroller. From my experience, car seat frame is one of the best options for the baby in first 6 to 12 months. 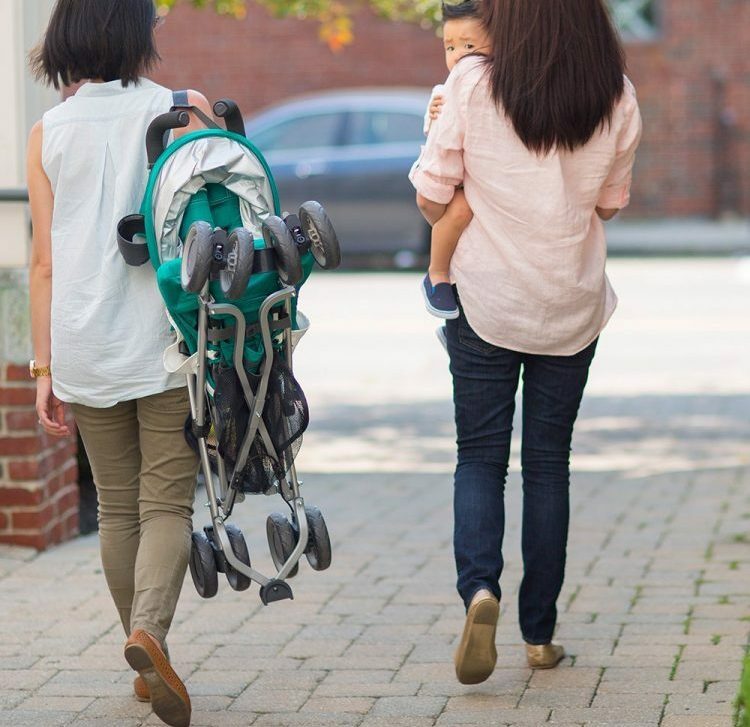 For the first-time parents it may seem a weird way to stroll with an infant, but many parents wish they knew about it earlier. Remember: do not use the car seat as a replacement for a crib. When you’re at home don’t leave your baby unattended in the car seat, put her/him into the crib. Baby can sleep without being observed only in a crib. 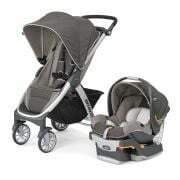 There are also car seat frames for twins (personally I tried Baby Trend Universal Double Snap-N-Go Stroller Frame). 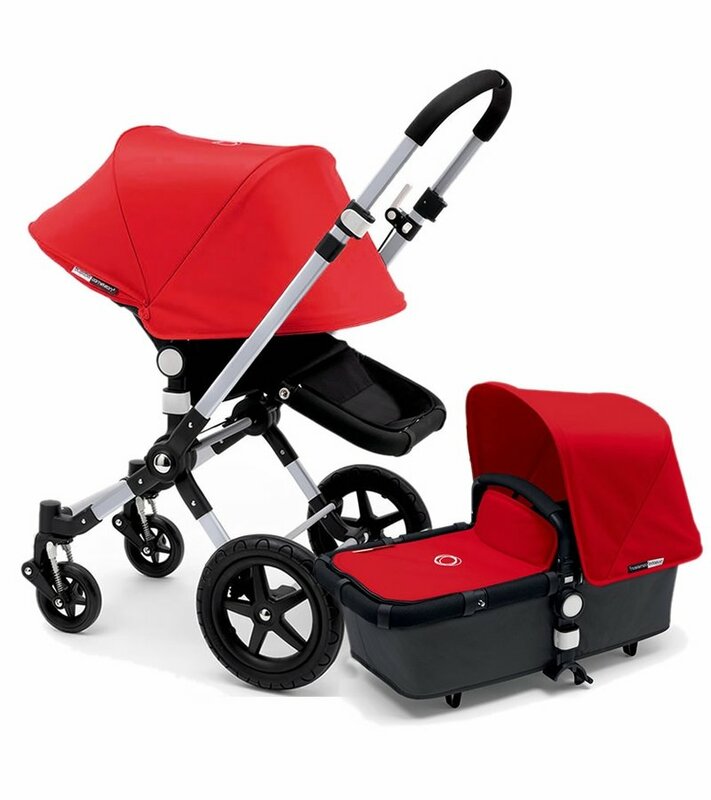 Prams are perfect for newborns and infants. It is a stroller with bassinet which you can use in the first 6 months, when the baby can’t move around and needs flat surface for sleeping. Prams are good option for newborns because they need large and roomy stroller and supine position is natural for them. The bassinet should be big enough to serve you for couple months (infants grow so fast!). Mattress is also very important. It should not be too thin, because baby would feel every bump and twitch. And it also should be made from breathable fabric. The cover should be easy to remove and clean. When the baby grows and becomes more active, prams are not safe because bassinets are shallow and usually they lack safety harness. When the baby can move around, it is easy for him/her to fall out and get injured. 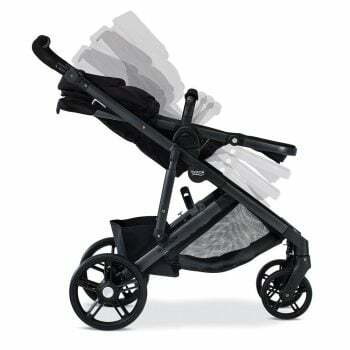 Keep in mind: prams are very stylish, but it is a luxury that you will use only for 6 months top, sometimes even for 3 months! From a practical point of view, better option is infant car seat which you can use longer than 6 months (even up to one year). It makes transition between driving and strolling very easy and simple. Plus, the bassinet is one more piece of baby gear which you have to storage. It is quite big and takes a lot of space in the trunk. You will need that space especially during trips, when you have to take also diapers, clothes, food, beverages, toys etc. If you use a car seat for strolling, it eliminates the need of buying another product and you can save money. Also if you have tight budget, you may skip it and save some money for other baby gear. But if you have money and you like prams, I would definitely recommend you it. The flat surface that bassinet offers is the best for sleeping newborn, especially during long stroll. Also, there is only short period when your baby is newborn and can ride in a stylish bassinet. Before you know it your child will be riding in an umbrella stroller! 20 or 30 years ago prams looked like the one in the picture above. Today prams like that are luxury and cost over $1000! 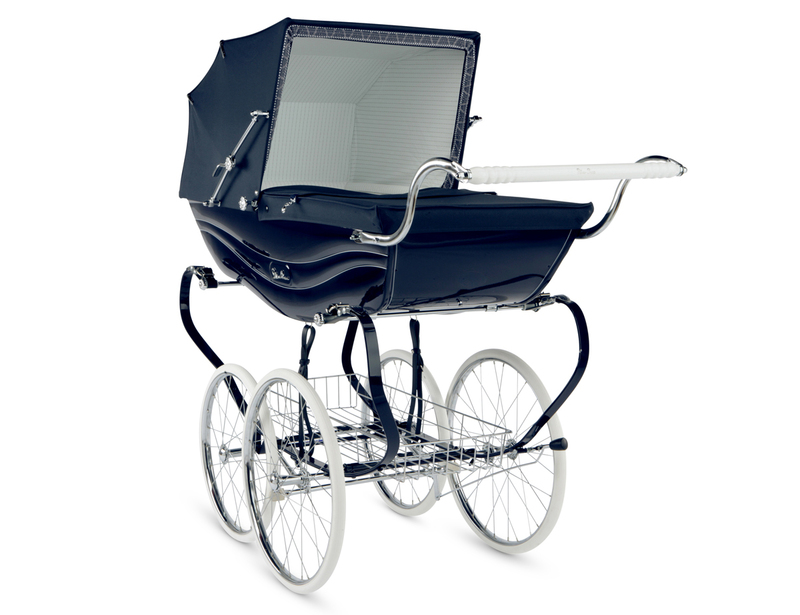 Classic prams are now rare, but most of the strollers give an option of installing a bassinet into the frame. You can only choose a convertible stroller that offers a carrycot (included or sold separately) and turn it into a pram. 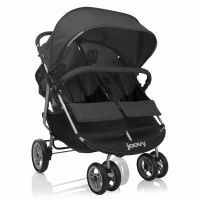 If you plan on buying a stroller that offers a bassinet here you can read more about the best prams. When your baby grows, starts to move around and explore world, it is very nice to have a possibility for him/her to watch the world while strolling. Therefore when your baby can sit up you should consider buying a lightweight stroller. This is a light and compact pushchair, that weighs from 8 to 17 lbs. It is great for travels and quick trips to the city. You can start using it when your baby can sit upright and has good head and neck control, so there is no risk of damaging her/his delicate spine. I started using lightweight when Haley was 7 months old, before that we were happy with our car seat frame and pram. You just strap your baby into the seat using 3 or 5-point harness. I recommend using 5-point harness for the safety of the child. This type of stroller is easy to navigate, even in narrow and crowded places. It’s perfect solution for parents who travel a lot and often use public transportation. 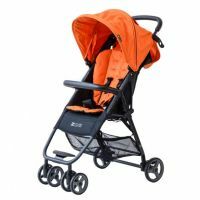 It also great option for a toddler who can walk but sometimes likes to ride in a stroller. Lightweight strollers are only for kids older than 6 months (when they are able to sit up), because of limited features: lack of travel system, pretty small wheels not good for rough terrain, less maneuverability, quite difficult pushing on tough surfaces, small canopy, seat that doesn’t fully recline (or even doesn’t recline at all). This type of stroller will serve you longer than pram or infant car seat frame, therefore make sure it is equipped with good sun shade and 5-point harness. Safety straps should be tight enough that the baby won’t fall out, but should be also comfortable for the baby. Lightweight stroller are usually pocket-friendly. You can even find some models that cost 50 dollars, but be careful with those! Often the cheaper ones are made of poor materials and are rather suitable for dolls, not kids. I wouldn’t take that risk. Models that cost around $200 have more features and accessories (child tray, cup holder, comfortable and adjustable footrest, easy folding). Keep in mind: lightweight stroller should have a five-point harness for your baby safety. This is a standard now, with most strollers. It secures your child at or above the shoulders, at the waist, and between the legs. Therefore it prevent baby from sliding or falling out, or from climbing out when you’re not looking. Buckle should be easy to operate for you, but difficult to unlock for small baby’s hands. Are you looking for a lightweight stroller for your toddler? 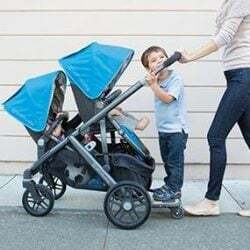 I invite you to read my buying guide and ranking of the best lightweight strollers of 2019. Umbrella strollers are very light, usually they weigh around 10 lbs or less. They are very compact and can be fully folded. Sometimes they have carrying straps so you can carry them on your shoulder. Remember that umbrella strollers are only for older kids who can sit up and have perfect head control. Are you going on a trip with your children? Here you can find out which umbrella stroller is the best! 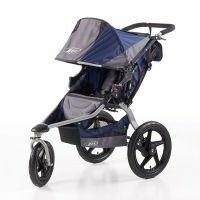 As the name suggests these are the strollers for parents who love to jog. If you want to keep up your healthy lifestyle and run with your baby, get a jogging stroller. They are perfect for parents with active lifestyle. Joggers usually have three big bicycle wheels with air-filled tires therefore they work on all types of terrain and they reach “running speed”. They have shock absorbers and are designed to reduce the impact of bumps and curbs on baby. Many models have handbrake and foot-operated parking brake. New models have also lockable swivel front wheel. 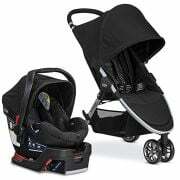 They have great suspension that provides baby with smooth ride and maximum comfort even at high speed and during running over rough terrain. On the market you will find models with large wheels which provides good amortization when you are going over bumps and harsh ground. They have higher weight limit therefore they will serve you even longer than 3 years. Some model have also travel system option so you can strap the infant car seat into it. 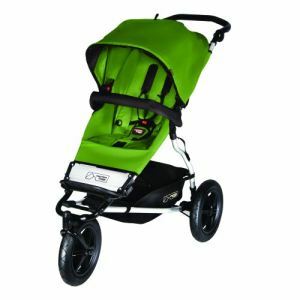 Jogging strollers are perfect for long walks, running and hiking, but they can be quite heavy and bulky (weight ranges from 23 to 31 lbs), and therefore difficult to maneuver in narrow and crowded spaces. This type has also long and high handlebar, which is designed to prevent runners from bumping into the stroller. If you want to walk or run with the baby over bumpy grass and old sidewalks without worrying that your baby gets bumped around, this type may be exactly what you need. It is designed for parents who want to jog with their baby and let them explore the world during it. 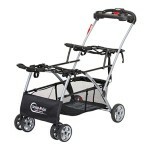 If you are looking for a jogging stroller you want it to be safe for your baby. Look for safety certificates that give you guarantee of safety. Also, choose this type carefully, especially if you want it to be your only stroller. Keep in mind: Do not run with your baby until he/she is about 6 months old (you can also consult your pediatrician). If you want your baby to keep you company while jogging, use only the jogging stroller. Before you make your purchase make sure your model is designed for jogging with baby. 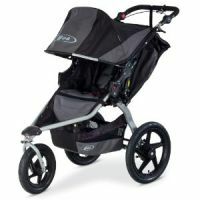 Some models has three wheels and “jogger” in name, but they are not made for running with baby! Are you a fan of jogging and you want your kids to join you? 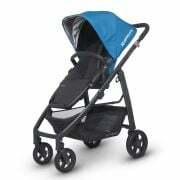 Here you can find more information and some tips on how to choose the best running stroller. This type of strollers is not only for twins but also for kids of small age difference. 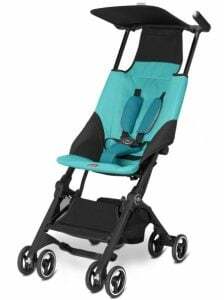 If you have newborns you should look for a stroller with fully reclining seats or stroller that is compatible with two infant car seats/two bassinets. Double strollers are more expensive and heavier than single stroller (fortunately not twice heavier! ), their weight ranges from 21 to 36 lbs. There are two versions in this type: side-by-side and tandem. 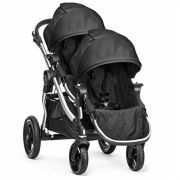 Side-by-side is one version of double strollers. It has two seats next to each other. You can put kids of different age into it (even snap an infant car seat into one or two seats). But be careful because stroller can pull to one side. Below you can see my favorite side-by-side double strollers. This type handles going down the hill and works with curbs better than tandem. Sometimes it might be hard to get through the doorways, narrow alleys in shops or between cars in the parking lot. Even folded stroller may require a lot of space (twice as much as the single version). Tandem is the other version of double strollers. It has one seat behind the other, therefore it is more narrow than side-by-side version. It is easier to maneuver in tight spaces and get through doorways. The seats are often reversible and kids may face each other, you or the world. This type of strollers have some drawbacks: the rear seat is often smaller, has lower weight limit and doesn’t have the same options and features as the front one. Also when you recline the front seat you are limiting the space for your baby in the rear seat. In the table below I present you the best, in my opinion, tandem strollers. 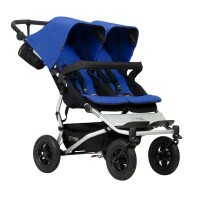 I know each parent can have different budget therefore I chose strollers in wide price range (from $150 to $700). There are some tandem models with so called “stadium seat“. The rear seat is placed higher than the front one and the baby in rear seat can see over the one in the front seat. Therefore both children can observe the world while strolling. There are also “sit and stand strollers“. Here the front seat is for younger baby and there is a seat with a platform behind the main seat. Older child can sit or stand on the platform – it’s perfect solution for older toddler or preschooler. Keep in mind: there are also car seat frame versions for twins. You can use them during the first 6-12 months with infant car seats. 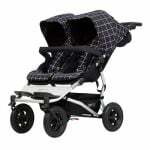 Nowadays you can also easily find on the market strollers for triplets and quadruplets. 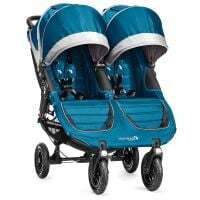 You can also read my buying guide with many useful information and my own ranking of the best double strollers! This is something new on the market. It is quite similar to car seat frames but there is one difference. Here you have a stroller frame fully integrated with a car seat. The frame and wheels can be folded under the seat and then install in a car. When you buy a stroller, especially for the first time, you may want to considering also couple useful accessories. I present you few stroller add-ons and extras, that in my opinion are worth buying. Now, we have some basic questions which will help to determine what you and your child really need. Answering these questions will help you to define what features and functions your stroller should have. You will be able to choose the best baby stroller that suits your and your child’s needs. Are you looking for a stroller for newborn or maybe your child is at least 6 months old? For the first 6 months, your baby can’t sit up and doesn’t have sufficient neck and head control. Therefore, in this period you should use either a bassinet, a fully reclined seat (less than 10 degrees) or an infant car seat attached to the frame. I can say from my experience that the third option is very convenient. Think about a sweet three or four month old baby sleeping in a car seat during a trip. You can simply remove the infant seat from its base in the car, with the baby sleeping in it and just snap it right into the stroller frame. And there’s no need to disturb your baby’s nap! It made my life much easier, when I discover car seat carrier frame, when my Haley was 4 months old. Before that I used bassinet and car seat and everytime I drove somewhere I had to have in my car both of them and take Haley out of the car seat (which often woke her up) and then put her in the bassinet and try to get her fall asleep again. With car seat frame the problem was gone! But I must admit, I am a big fan of using bassinet during long strolls with an infant, it offers perfect flat position for sleeping. Car seat might be better option for running quick errands. When the baby can sit up and has good neck strength (around 6 month old), he or she can be driven in a lightweight stroller. Remember, when your kid gets older you still need many stuff while strolling: bottles, food, snack, toys, diapers, wipes, clothes… therefore, the stroller should have enough storage for baby’s stuff. If you are looking for a stroller for older baby you should consider what is better for you: lightweight stroller or umbrella stroller? In many models of lightweight strollers the seat can be reclined. It is very convenient: when your baby falls asleep during the stroll, you can recline the seat and he or she can sleep in the open air. Also, notice what material the stroller is made of. Will your child be sweating in it? The canopy is also very important, it should protect baby from sun, wind and rain, even when the baby grows and gets taller. 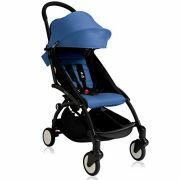 Check whether the stroller has an adjustable footrest and proper ventilation. Safety belts are also very important. The best option is five-point harness with adjustable straps for proper fit. 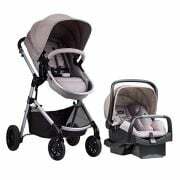 You should also consider if you want to buy a set 3 in 1 or 2 in 1, like a stroller with bassinet and car seat or would you rather prefer to buy a car seat frame and when the baby grows up buy a lightweight or umbrella stroller. Buying all in one is definitely cheaper, but remember – stroller can be very good as pram, but not as a lightweight. If you want to buy a set you have to check if each product has features your child will need (like removable seat that reclines nearly flat and large canopy). Buying two separate strollers may seem less economical, but gives you opportunity to choose what you really need. You could buy a car seat frame for the first 6 months, and then, when you have more experience, more defined needs and chance to actually “try on” the stroller to your 6-month-old baby, choose lightweight stroller. If you want to have a big family and children with small age difference, you may want to buy a stroller that you could use not only for the first one, but also for the second or even third one! You should look for a durable pushchair that will serve you for years. Expandable stroller may be perfect solution for you. Think about your neighbourhood and places that you will be strolling with your baby. Also think about the terrain – will you visit shopping malls/parks/forest? Will you ride over bumpy sidewalks or even ground? 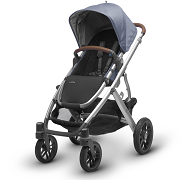 Answers to those questions will help you define what type of stroller you need. If you live in the city and there are sidewalks and alleys, you may consider small stroller with not very big wheels. But if you live in the area with many bumpy unbeaten roads, you should consider a stroller with good amortization and large wheels, not necessary pumped, because modern foam wheels also work well on rough surfaces. If there are wooded paths and smooth sidewalks in your neighbourhood, you may want to consider pushchair with larger rear wheels and smaller front wheels, also with reversible handlebar, so the bigger wheels could also be in front of the stroller, if needed. Thanks to this, you will be able to adjust the stroller to different ground and it will work on bumpy roads and crowded city sidewalks. Some strollers are really big, therefore you need to consider where you will store it. If you would like to keep it in your apartment or a car trunk, you should look for a stroller that is small enough to store pretty easily and fold up without too much trouble. Folding should be easy for one person. Future parents often assume that they will be carrying the stroller up and down the stairs, but they still buy strollers that weigh more that 30 lbs. Newborns weigh 6-8 lbs and grow really fast, so often moms end up lugging up every day 50 lbs on the third floor. If you need to carry the stroller up the stairs (or climb on a city bus) you should look for a lighter model (around 15-20 lbs). Weight of the stroller is especially important for moms who had C-section. If you plan to transport the pushchair in your car very often, you need to choose a small model that easily folds up. Some models with large wheels may not fit to every car trunk. Before you decide to buy a stroller, measure your trunk and compare it to the size of folded stroller. If you plan on going on a road trips with your child, you will need to bring your stroller. It may turn out that there is no space in the trunk for more gear than the stroller and some diapers! When I was looking for my first stroller for Haley, I was told that strollers with three wheels are unstable and cranky. Don’t let this opinion ifluence your choice! I tried few models (with load) and didn’t see any problems with stability. Of course you have to remember not to lean the whole weigh on one wheel, but it is also the case with four wheels strollers. Some models with three wheels can be more agile than four wheels pushchairs. You should try what suits you more. You can also choose different types of wheels, for example: plastic, foam or air-filled. If you are going to use the stroller in the city the plastic or foam wheels should be good for you. But if you plan on using the stroller on wooded and bumpy trails you should consider pumped wheels, because they provide better amortization and the baby is less exposed to shocks. At the end, I would like to discuss some basic safety rules. Always use safety harness. It protects your child from falls and tip-overs. Infant in a bassinet should be facing you, so you could keep an eye on him/her. Keep your baby away when you are folding or unfolding the stroller to avoid the risk of cutting baby’s finger or other injuries. Make sure the stroller is fully unfold – there is a risk of partially unfold. It may collapse under baby’s weight. Never use the cup holder for hot beverages. Double check the brakes – after setting the brake, shake the stroller a little to make sure it’s fully locked. Do not run with a standard stroller that is not designed for jogging. Do not run with a baby younger that 6 months. Until then, baby’s head is heavy, but their spine and neck muscles are not yet fully developed. Bumps and shocks experienced during jogging can be a real health risk to a developing baby. Do not hang anything from the handlebar – it can increase risk of tipping-over. When you hang heavy things on the handlebar there is a higher risk of back-tip. Bottom storage basket is better option! 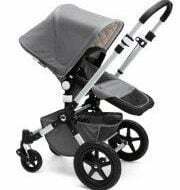 Take care of the stroller and its technical condition. 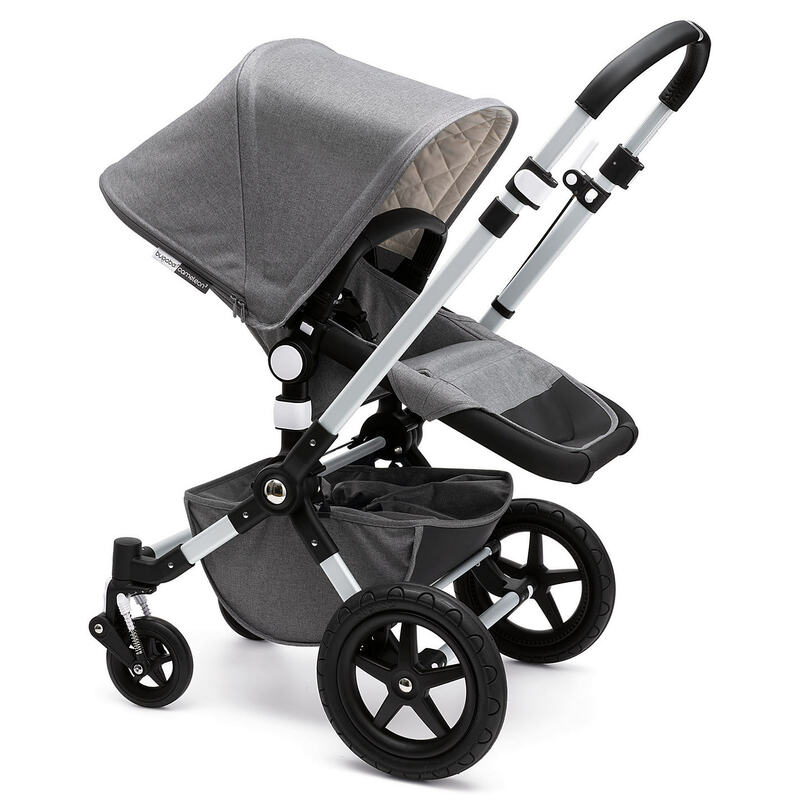 I buy a stroller from your website link a few days ago but still now i dint received yet……..Let me know what can i do? Hi Mike, I’m not a seller and I don’t sell anything on my website. 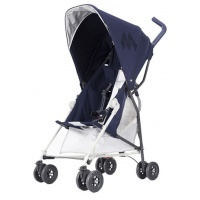 You need to contact the store where you purchased the stroller. I just discovered your website and I am VERY into it. I love how in depth you go with each stroller and still keep things easy to read and follow. I am currently in the market for a double stroller. Would I possibly be able to ask you to weigh in on my options? 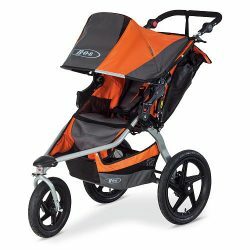 I need a double stroller to use ~10 times a year with my 2.5 year old and six month old, mainly on long walks in the city. Because I will be using it so infrequently, I don’t want to invest a lot of money, but I still need it to be functional and not drive me crazy when I do use it. 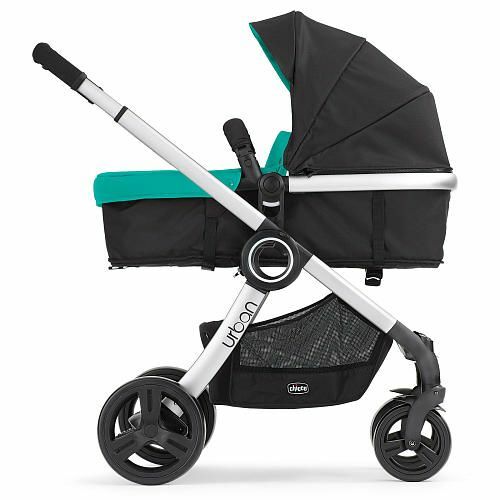 I am currently considering the Britax b agile double, the Evenflo minno and the maclaren triumph twin. My maximum budget is 350 but I’m happy to spend less than that if my requirements are met. Which would you choose between my three choices and is there another option that I am missing? 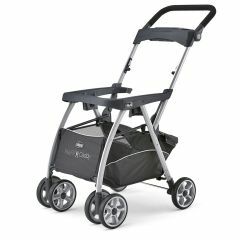 All these strollers that you’ve mentioned have dual wheels (it’s very common among lightweight double strollers, especially those cheaper ones). So you need to keep in mind they won’t be great for any uneven terrain and may veer off the course on bumps. If you’re going to stroll only in the city you’ll be fine. These strollers work best on flat surfaces: on pavement, maybe occasionally gravel and grass in the playground. 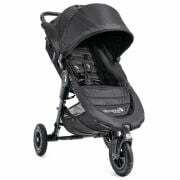 But don’t expect them to handle bumps very well or roll smoothly on cracks (for that you will need for example Baby Jogger City Mini GT which costs around $450 or more). I think B-Agile is the best among these 3 models and here’s why: it’s easy to operate and maneuver, on straight and even surfaces you can push it with one hand and it rolls nicely. It has spacious basket under the seats which will be very useful on long walks. The harness on each seat is fairly easy to adjust and buckle. The handlebar is height-adjustable. Canopies are good-sized, adjust separately and have nice mesh windows for extra air-flow. Recline is sufficient for napping. There’s one “but” – this stroller is wide 🙁 About 31 inches. It means you may have problems with some doors or shopping aisles, if you’d like to use it indoor as well. Twin Triumph also works quite smoothly and it’s narrower (about 28”). It has large, extendable canopies which I love. BUT: the harnesses are terrible and lots of parents complain about them. They are stiff and it’s really hard to buckle the baby, especially if you have a wriggling toddler like I do. After a while you may get used to this system, but it’s still quite cumbersome. This stroller is easy to steer, but you’ll need two hands for that. And the worst thing – it has three dual wheels in the front and in the back. If you’re tall you’ll be probably kicking the rear middle wheel while walking which is really annoying. It happens less often if you’re shorter. This stroller is the most expensive one among these 3 models, but I don’t think it’s better than others. Minno is the most budget option. For occasional use it may work okay, but here are the things you should keep in mind. It has small storage basket and you won’t be able to push it with one hand. Harnesses are a bit difficult to adjust. It doesn’t have that middle wheel like Triumph, so it’s easy to push but it rolls a bit less smoothly. It has very good padding on the seats and it’s only 27” wide so you won’t have problems with standard doorways. 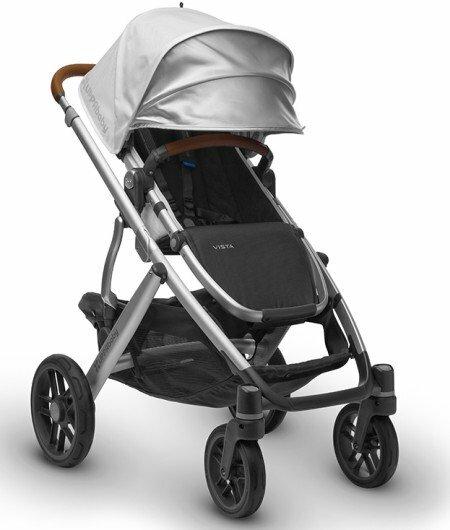 There’s one more stroller you may want to check out – ZOE XL2 Best (v2). Advantages: good maneuverability, LARGE canopies, ultra-lightweight design (only 17 lbs! ), 3 cup holders + snack cup included and option of adding bigger wheels (sold separately). It does have dual front wheels so it’s not good for uneven terrain – similar to previous models. I think Britax is the easiest one to push among these strollers. And I think the adjustable handlebar would be useful for you. I’m also quite short (about 5’2”) and having possibility to adjust the handlebar to my height is really nice – no wrist or shoulder pain after a few miles walk :). Got it! I think I’m going to take your advice and go for the Britax. Thanks a million for sharing your expertise!! This is a fantastic list of baby strollers. Thanks for sharing this article! A good and reliable stroller will last you for years to come and with these modern strollers, you get functionality and reliability in the same package! Hi, very good site, very informative content.